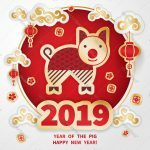 Come celebrate the Year of the Pig with us from February 1 to February 10, 2019. 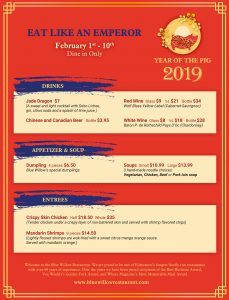 See our exclusive menu below. 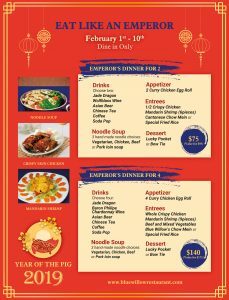 This is only available for dining-in at suppertime, featuring our popular Crispy Skin Chicken at last year’s price and Mandarin Shrimps. Remember to order the chicken when you make your reservation. We also have a surprise for the ladies. 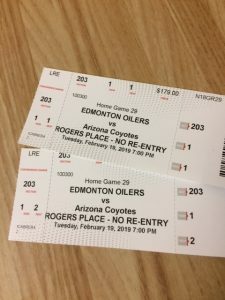 As an added bonus – when you dine-in during our Lunar New Year celebration,enter in a draw for 2 hockey tickets to Edmonton Oilers vs Arizona Coyotes on Tuesday, February 19 at 7 pm and a chance to win an authentic Chinese tea set.